There was a festive table. Wine. Fresh bread. Smoked salmon mousse in waffle cones. Yet somehow it was far from a fancy affair. Although set in one of Victoria’s premier cooking schools, this was a roll-up-your-sleeves, onion-chopping, get ‘er done experience. And it was for women in need. I’m referring to Soup Sisters, a monthly event held at the London Chef cooking school in downtown Victoria. About 20 women (plus volunteers and, in our case, a nervous male) join together in a kitchen and make soup for the Victoria Women’s Transition House. Originating in Calgary, this popular soup-making charity event is now in action nationwide (and across the border), with the soup going to women’s shelters. A few gal friends and I, aprons in hand, checked it out a couple weeks ago. After a brief demo, a fortifying glass of wine and the aforementioned smoked salmon, we tied our hair back, removed jewelry, scrubbed hands and started chopping. Although it was freezing outside, it was warm in the kitchen as we got to work. Lots of laughter & stirring. 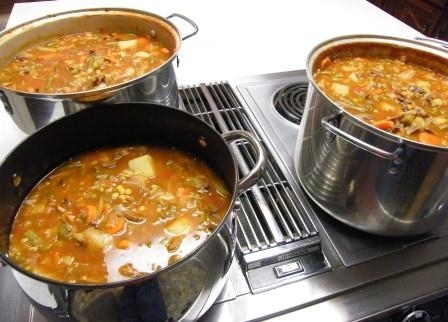 Our team was making one of two vegetarian soups: Curried Sweet Potato, Onion and Carrot with Red Lentils and Ginger. Translation: lots of chopping. I’m no sous chef, so I had to really concentrate on not slicing a digit with that big, sharp knife. Soon tantalizing smells filled the kitchen, adding to the festive mood and making our tummies growl. After adding some curry paste and topping it off with a pinch of salt, it was time to puree and then ladle the yummy hot concoction into containers. The hard work now done, we all relaxed and imbibed a little more. Then, elbow-to-elbow in true Victoria style, we sat down at the decorated table to taste one of five delectable soups: chicken, mushroom and wild rice, paired with bread and quinoa salad and topped with a heaping helping of camaraderie and laughter. We whipped up a total of 75 containers of soup, which the amazing volunteers braved the cold to load into a van and take to the shelter that very night. 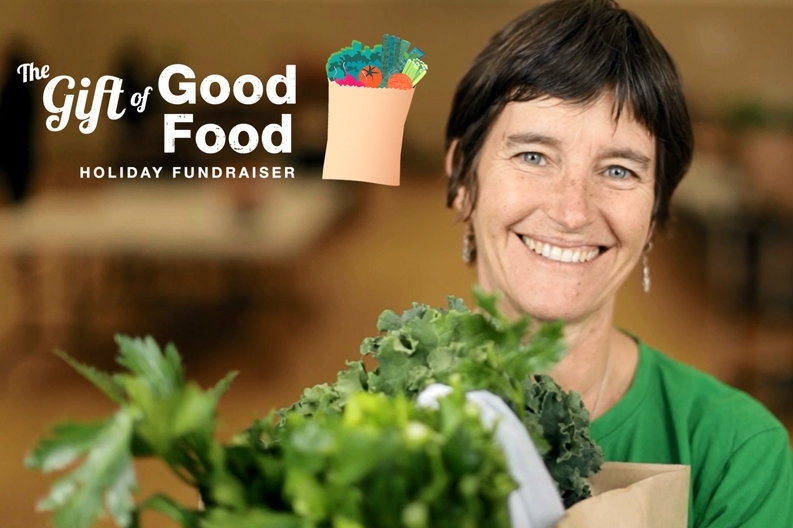 One hundred percent volunteer-driven, this fun and yummy event is definitely a go-to, leaving you with a warm feeling in your tummy — and that’s not just from the soup. 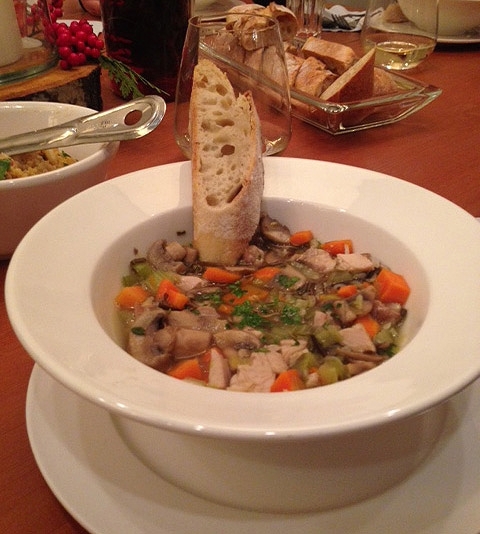 Chicken, Mushroom & Wild Rice Soup. 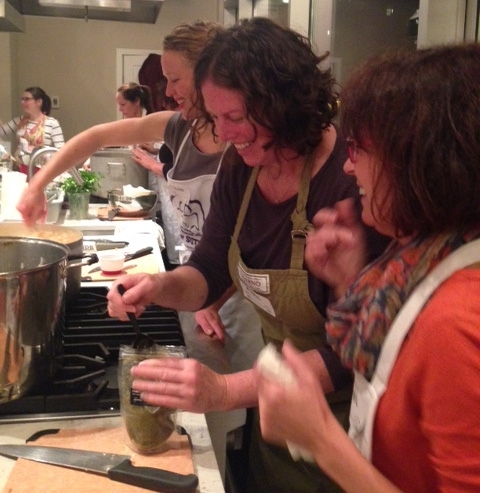 Soup Sisters costs $55 a head (to cover the cost of ingredients, the venue and the help of a chef) and fills up fast. Each group has between 12 and 20 participants. Dates from Feb. 24, 2016, onward are available to book on the Soup Sisters website. 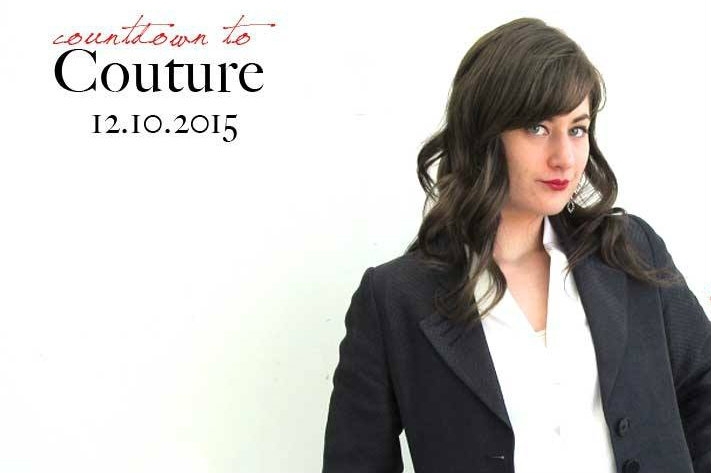 A native Victorian, Shari is a writer, editor, and director of Digital Sticks marketing. When not blogging and travelling around the globe, Shari embraces West coast life by hiking, beaching, and dining al fresco all year long.